The Census Bureau has recently begun releasing official statistics that measure the movements of firms in and out of business and workers in and out of jobs. The economic analyses in Producer Dynamics exploit this newly available data on establishments, firms, and workers, to address issues in industrial organization, labor, growth, macroeconomics, and international trade. This innovative volume brings together a group of renowned economists to probe topics such as firm dynamics across countries; patterns of employment dynamics; firm dynamics in nonmanufacturing industries such as retail, health services, and agriculture; employer-employee turnover from matched worker/firm data sets; and turnover in international markets. 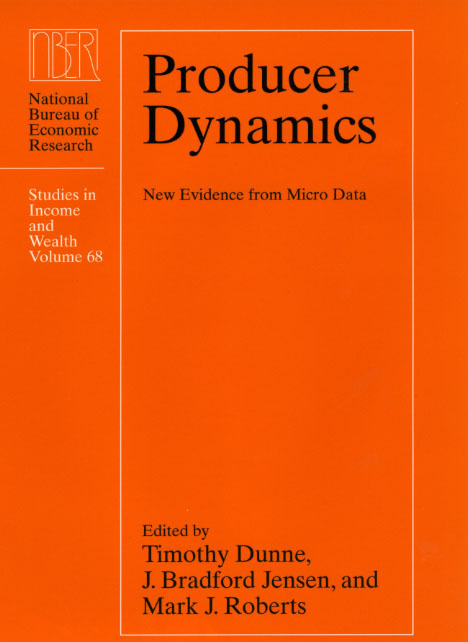 Producer Dynamics will serve as an invaluable reference to economists and policy makers seeking to understand the links between firms and workers, and the sources of economic dynamics, in the age of globalization. 3. What Can We Learn About Firm Recruitment from the Job Openings and Labor Turnover Survey?